Today Linda is back to cover part 2 of her 3 articles on stress and sleep. Today she will discuss why sleep is so important and its relationship with stress. Remember yesterday, she talked about the sleep cycle and some technical aspects of how the brain processes it. While this information is a little technical, it’s important stuff to know so that you can then learn how to regulate your sleep. If you have any questions or comments to share, I’m sure Linda would love to help me address them for you! Hope you enjoy. As you saw in the explanation of the sleep stages above, the simplest way to think about why we need sleep is in terms of healing and repair. It’s almost as though getting a good night’s sleep is akin to regularly taking your car into the mechanic for servicing. While you are sleeping your brain becomes a mechanic, tinkering with processes that are important during your day-to-day functioning and require fine-tuning or repair. For example, any damage to your heart or blood vessels is repaired while you are sleeping. Hormone production, metabolism, cognitive functioning and immune function are all processes that rely on a healthy night’s sleep, every night. Physical growth and the stimulation of new brain cells and neural networks take place while you sleep. How does stress impact on sleep? In an earlier post titled ‘Stress Hormones’ you learned about a very important part of your brain directly responsible for many of the processes in your body including your immune functioning, your mood levels and emotions, your digestion, your energy production and storage, your sexuality, and the stress response. This system is known as the hypothalamo-pituitary-adrenal axis, or HPA axis. You may like to go back to this post and check out the diagram explaining the functioning of the HPA axis. Sleep only occurs when the HPA axis is calm and inactive. So when the HPA axis is active, as is the case with stress, sleep will be affected. And conversely, when you don’t sleep well, the HPA axis becomes activated. And on it goes. When the HPA axis has been activated through ongoing stress, you are also more likely to wake either through the night or first thing in the morning feeling anxious. I have met many people who have described waking in the middle of the night or early mornings with panic-attacks, and a disturbed sleep cycle could explain why. So already we are beginning to see how disturbed sleep can trap you into a negative cycle: you don’t sleep well, you feel stressed. When you feel stressed, your biological clock becomes disrupted and you struggle to sleep well. This process occurs in part because when we don’t get enough sleep (less than 6.5 hours) our body increases it’s production and release of the stress hormone cortisol. Remember from previous posts that when you are experiencing ongoing stress your body is already pumping out excessive levels of this toxic substance. Usually in the early evening cortisol is decreasing however with chronic sleep loss these levels will elevate resulting in a chain reaction including increased insulin resistance and decreased glucose tolerance. Sleep is actually really important for regulating appetite and food intake. One of the hormones, letpin, which is responsible for appetite suppression, actually decreases with a lack of sleep. At the same time the body increases it’s production of ghrelin, a peptide that stimulates appetite. This means that when we experience disturbed sleep our appetite actually increases and we are more likely to eat larger amounts of food than what we would normally need to get through a day. We are also more likely to crave foods that are high in carbohydrates. Increased cortisol makes you store fat in your tummy, your neck and your face, so if you are eating more carbohydrates you are more likely to gain weight. A spare tire belly is a good indicator of stress, and for many of us it creates further stress as we begin worrying about our weight gain. 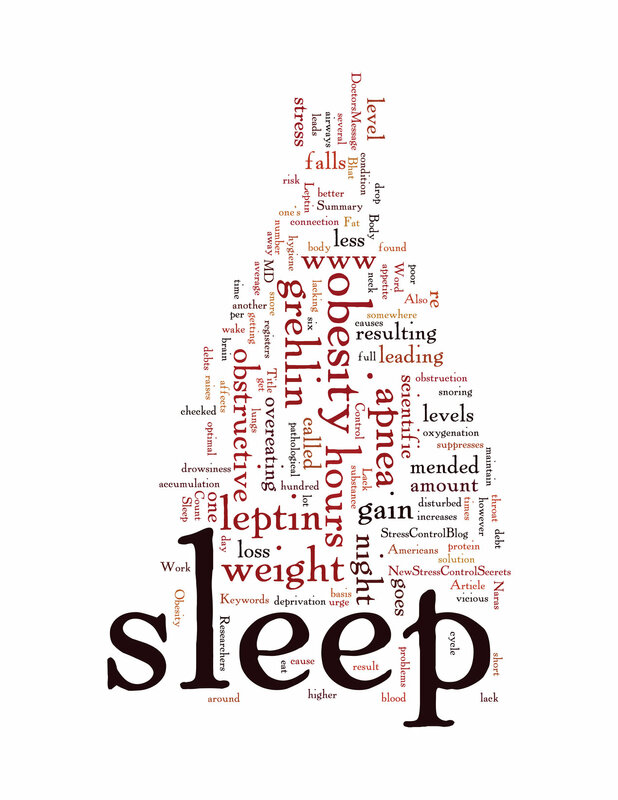 Sleep deprivation has also been related to impaired glucose tolerance and insulin resistance. If you find yourself waking between 1am and 3am, a common feature of stress, it may be because your body is not using glucose properly and is signaling that you need to re-fuel already. This is why having a snack prior to bed can be helpful. Even if you are young and relatively healthy, these hormonal changes can leave you in a pre-diabetic state following less than one week of sleep deprivation. This is an alarmingly short time frame! At the moment we are seeing an increase in sleep deprivation, an increase in diabetes, and an increase in Alzhiemer’s disease, which in some research circles has been labeled diabetes type 3. Disturbed sleep can also leave you with confusion, impaired memory, headaches, impaired judgment and decision making ability, increased irritability, clumsiness, hallucinations, seizures, and even mania. With ongoing stress and sleep disturbance your adrenal functioning may become impaired and this can be a factor in conditions like fibromyalgia, hypothyroidism, chronic fatigue syndrome, Cushing syndrome, arthritis, depression and premature menopause. Scary stuff! So what can you do about it? Hang around and check out Tuesday’s blog post to learn how you can improve your sleep. As you can see, when you are stressed sleep is really the first step in attempting to help your system to down-regulate. 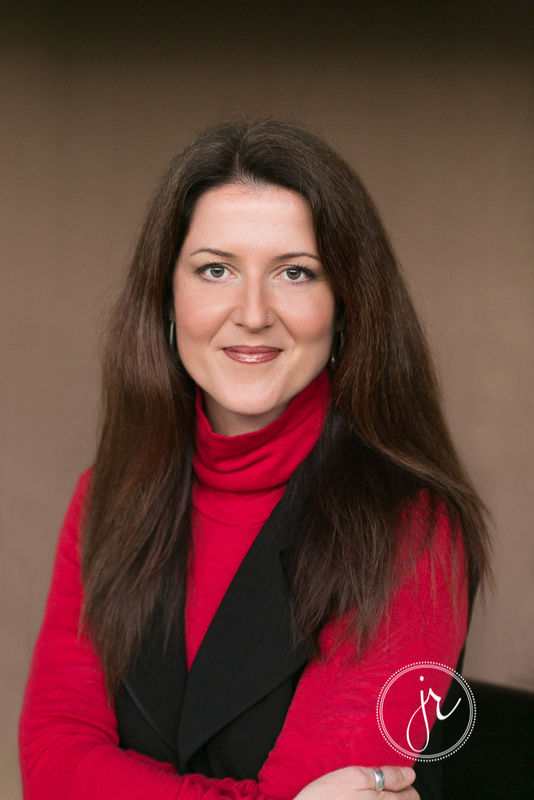 Linda values openness, authenticity, and acceptance in her work as a psychologist. She is a big believer in the power of the mind and recognizes that in many instances it is the activity within our minds that contributes to our psychological distress. Linda views the brain as an amazingly powerful organ: she is passionate about understanding how the brain functions and what each of us can do to maximize the brains potential. Sleep. Do you get enough of it? In all likelihood, probably not. At least not if you’re anything like me! I’m excited to have Linda back with us as she has some amazing insight and skills. She has graciously offered to share a series of articles over the next 3 days on sleep, while I am attending a conference (and probably not getting much of it!). Did you know that we spend approximately one third of our lives sleeping? Sleep is another one of those amazing functions that many of us take for granted, until we find ourselves unable to get to sleep or waking at 2am every morning. Unfortunately stress can have a very negative impact on your ability to sleep well and when you don’t sleep well you are more likely to feel stressed! Today we are going to have a look at what happens inside your body when you sleep and the healthy sleep cycle. In part 2 tomorrow we will outline why sleep is important, and how stress effects sleep. And the day after we’ll look at a bunch of strategies for you to improve your sleep. The human brain is a complex organism, so some of what we are talking about here is going to be technical. I have tried my best to simplify explanations as much as possible to make it easier for you to understand, however it is still quite a long piece, my apologies in advance. I have also included some links to other websites that provide even more detailed explanations for those of you who relish the details and love to sink your teeth into the technical workings of the brain and body. Did you know that some parts of the brain actually work harder when you are sleeping than during waking hours? When I talk to people about relaxation often they will say that they relax when they are asleep. This is not actually true because your brain does most of the important work during sleep. And this is why deliberately engaging the relaxation response while you are awake is essential. You can learn more about engaging the relaxation response in the post on ‘Stress and the Role of Breathing’. Sleep is actually quite a complex process involving at least two systems in your body. In terms of sleep, each and every cell in your body has its own little clock, a cellular clock, how neat is that? Each cellular clock is regulated by a master biological clock sitting in the region of the brain called the hypothalamus. Your cellular clocks drive your circadian rhythm, a 24 hour cycle of physiological and behavioural processes. Circadian rhythms are responsible for all kinds of essential functions in your body including body temperature regulation, the sleep-wake cycle, and hormone production and release. Remember that hormones are just like chemical couriers, they travel throughout your body delivering essential messages for optimum functioning. Your circadian rhythms are very easily disrupted, especially by stress. When your circadian rhythms become disrupted, your hormone production and your sleep-wake cycle will be impacted. At the same time you have something called sleep-wake homeostasis going on. In this process throughout the day the body produces sleep-regulating substances that drive you to want to sleep. The longer you are awake the stronger your desire to sleep. One of the better understood sleep substances produced by your brain is called Adenosine. This is important as we know that stimulants like caffeine and nicotine actually block Adenosine from working. What does healthy sleep look like? Understanding the ‘sleep architecture’, or the pattern of healthy sleep, has always seemed confusing to me. However it is important to grasp, particularly if you are experiencing sleep disturbance as disrupted sleep does appear to underlie many other problems including depression. I have tried to make this as easy as possible for you to make sense of, although you may need to read through it a few times to really understand what goes on in the nocturnal hours. We have two types of sleep: non-REM (rapid eye movement) sleep and REM sleep. During this stage your transition into sleep begins, usually lasting around 5 minutes. Now your eye movements stop, your body becomes still, this stage lasts anywhere from 10-25 minutes. In these stages it becomes difficult for someone else to wake you and you will feel groggy and disoriented if you are woken. Your brain waves become quite slow as the blood flow is directed away from your brain towards your muscles. Stage 3 & 4 sleep is absolutely essential as this is the time when your body is working on healing and repairing anything physical that isn’t functioning properly. If you have injuries or illness, then your body needs to experience these stages properly. And finally, during REM sleep, or dream sleep, many of your physiological responses actually increase. Your brain waves speed up, your eyes move rapidly, your heart rate increases, your breathing becomes rapid and shallow and your blood pressure increases. During REM sleep for most of us our arm and leg muscles become paralyzed. Ever felt physically trapped in a dream? Well now you know why, for most of us during this stage your body is trapped. 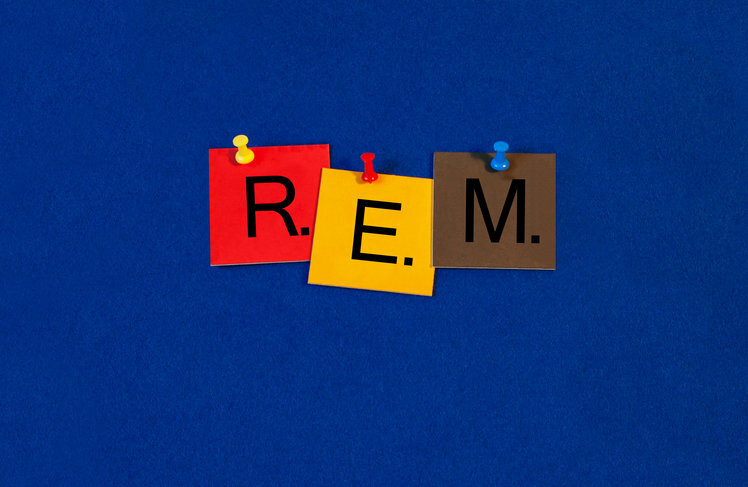 REM sleep can last for around 70-90 minutes. Most importantly, during REM sleep, your brain is actually repairing the mind while also consolidating memories and new learning from that day. Amazing stuff, hey? In one night you may cycle between these stages anywhere from 4 – 6 times while you are sleeping. While every single stage in the sleep cycle is important, Stage 3 & 4 sleep and REM sleep are clearly essential for healing, repair, and cognitive functioning. And this is where sleep medications cause problems and why they often do more harm than good. Sleeping tablets actually prevent you from entering Stage 3 & 4 sleep and REM sleep. The most common form of sleep medication is the benzodiazepine, you may be more familiar with the brand names Valium, Xanax, Temaze, Rohypnol, Serapax, Ativan, Mogadon, or Rivotril. Also, benzodiazepine use is more likely to result in what is known as rebound day-time anxiety, meaning that your HPA axis has been stimulated, increasing the likelihood that you will be caught up in that negative stress cycle. And it is highly addictive. Avoid the use of sleeping medication if you can, if you really need to take it do so sparingly, maybe for 2 to 3 nights only and then have a few days break. If you are already taking sleep medication DO NOT suddenly stop taking it as this can also cause dangerous reactions. Always discuss medical options with your general practitioner or medical specialist.